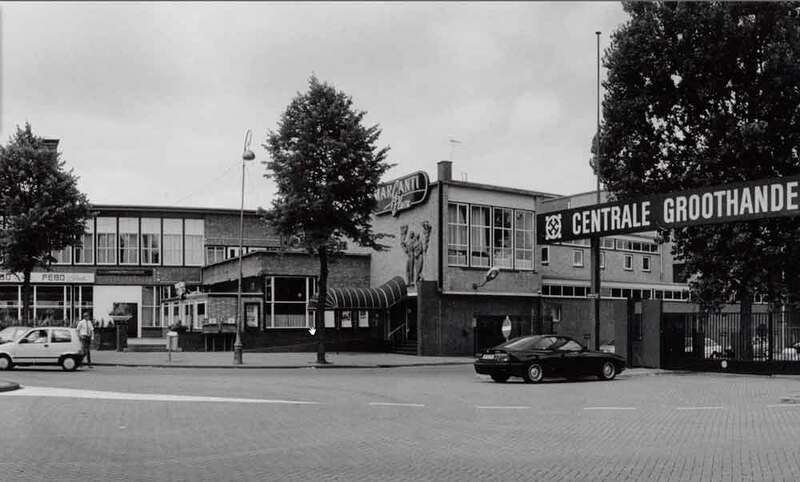 De Marktkantine is an old blue-collar workers’ canteen on the edge of central Amsterdam in the ‘Old West’ district. 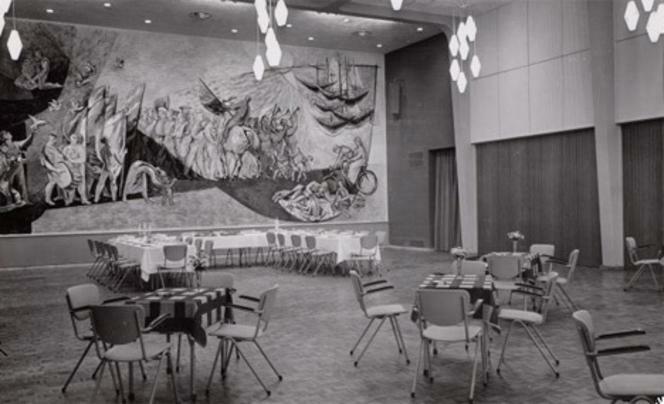 As of 2014 it was reopened as a temporary event space (active until 2019), to be used as a nightspot, theatre, restaurant, training centre, creative hub and more. 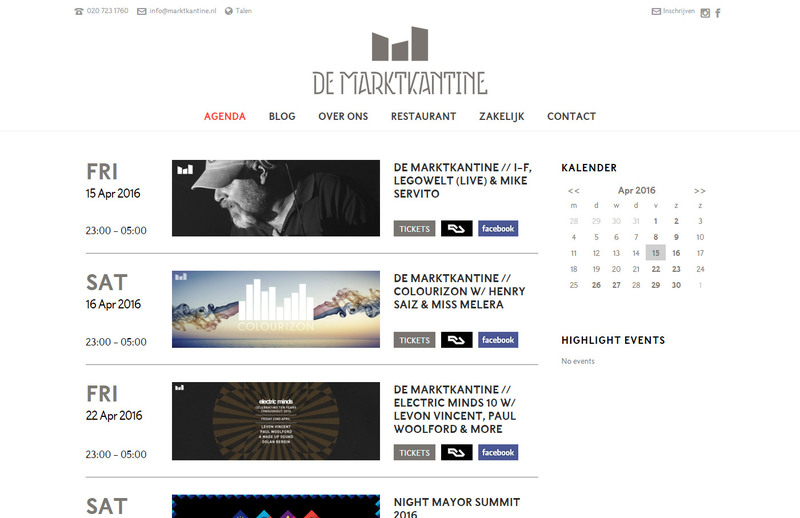 We were asked to create a complete visual identity for De Marktkantine including a website, that would relate to all the purposes listed above. 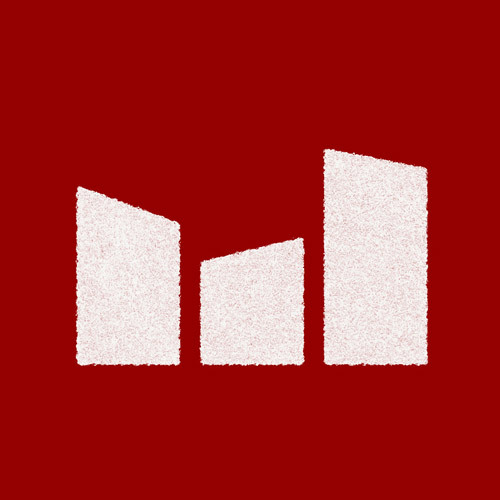 Most notably for us, we felt it was important to embrace the buildings Amsterdam roots, which can be seen primarily in the font we designed for the project. Subsequently, we were also asked to adapt the existing logo of the venue’s restaurant, Graceland BAR-B-Q, and to bring it in line with the rest of De Marktkantine’s style. 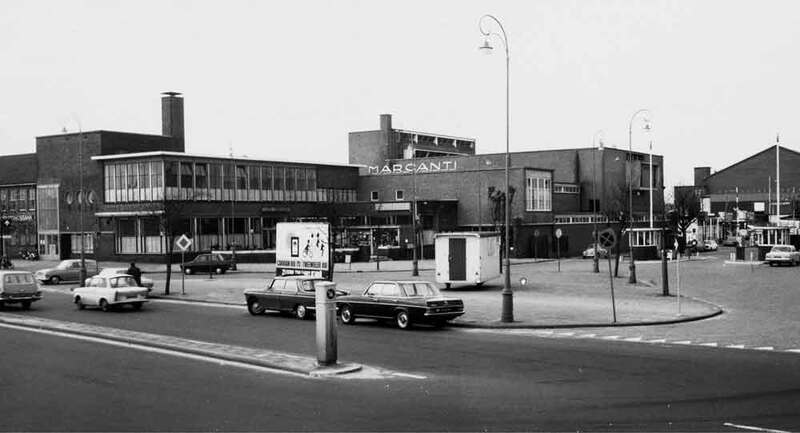 De Marktkantine (the Market Canteen) is temporarily housed in the old Marcanti building on the Jan van Galenstraat. 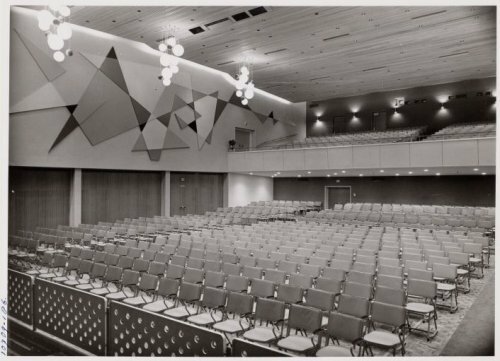 Built in 1936 as canteen for merchants from the neighboring market (now the Food Center Amsterdam), it was expanded in 1956 to include a large theater, De Hoeksteen, where artists like Jacques Brel performed. 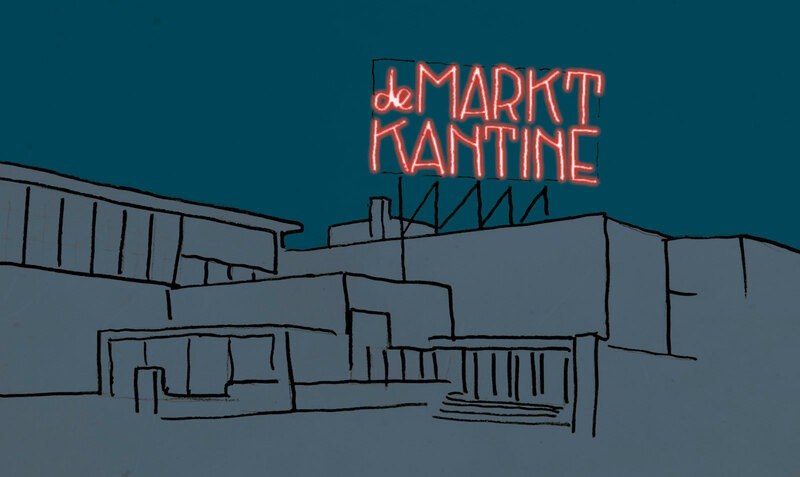 During the 1990s it became a popular nightclub, and now, after being vacant for five years, it has been restored to its former glory: the Marktkantine, at the market. The giant lettering on the side of the building was done by our very own Jochem and Seton. 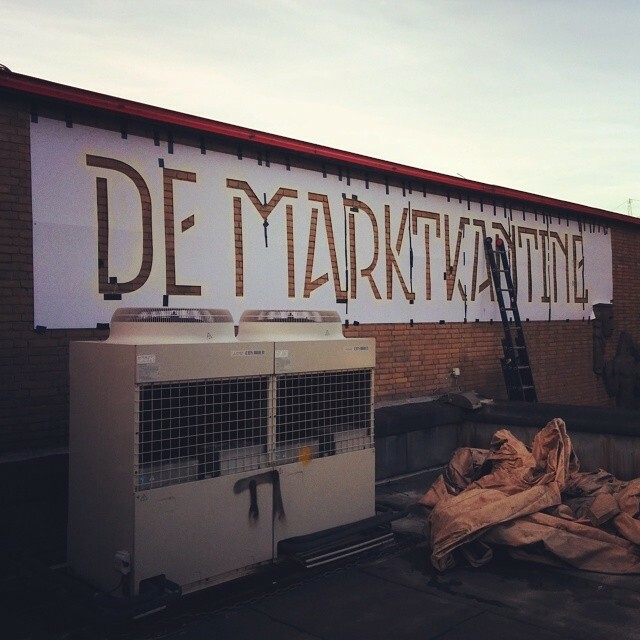 They actually crafted the large cardboard stencils of the Marktkantine logo and hoisted themselves on the roof. 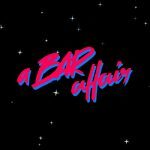 Whilst the evening air saw people going home from the Food Hallen and party-goers coming in for the night, the guys managed to get that logo up solidly painted on the wall. 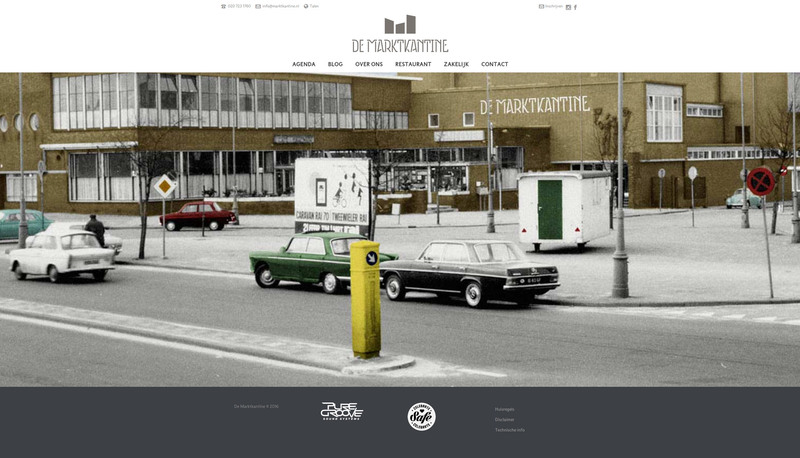 The custom lettering created for the Marktkantine logo was eventually made into a complete studio-produced font: our very own SBF De Hoeksteen. This history inspired font is now for sale, so check it out in our shop!